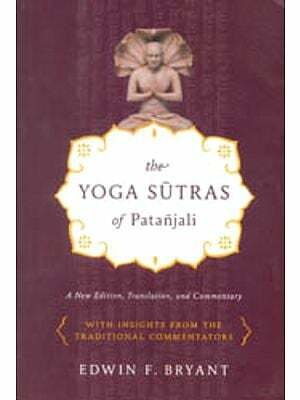 For millennia this fascinating series of yoga sutras, aphorisms, by the great Indian sage Patanjali has baffled scholars and mystics alike. Today these powerful writings stand newly revealed as a practical, concise handbook that redirects all sincere seekers swiftly towards their true home in the Divine. Demystifying Patanjali represented the confluence of the three great yoga teacher. Patanjali, considered the first exponent of the ancient teachings of yoga, presented it as a system of inner Contemplation, meditation practice, and ethics. Paramhansa yogananda, considered by many to be the greatest of all yoga masters to live and teach in the West, revealed with deep insight the meaning behind Patanjali’s often obscure aphorisms. Finally one of Yogananda’s last living direct disciples, Swami Kriyananda, the author of nearly 150 spiritual books in his own right, has compiled his guru explanation into a clear systematic presentation. These three great souls have combined to give us a modern scripture that will enlighten the mind, expand the heart, and inspire the soul of every reader. Paramhansa YoganandaOne of the best known spiritual teachers of the 20th century, his autobiography of a Yogi, published in 1946 and printed in more than 20 languages, has touched the hearts of millions and remains the best selling spiritual autobiography of all time. Yogananda was the Indian yoga master to make his home in the West. He lived In America from 1920 until his death in 1952. Today hundred of thousand of seekers around the world practice the meditate on techniques he brought from Indian and consider themselves his spiritual disciples. Swami KriyanandaDirection disciple of Paramhansa Yogananda, trained by the great Indian master to spread the life-transforming teachings of Kriya Yoga around the globe. He is widely considered one of the world’s fore most experts on meditation, yoga and spiritual practice, having authored nearly 150 books on these subjects. Kriyananda is the founder of Ananda Sangha, a worldwide organization committed to the dissemination of Yogananda’s teachings. In 1968 he founded Ananda World Brotherhood village, the first spiritual cooperative community based on yagananda’s vision of “world brotherhood colonies.” Today Ananda includes 10 spiritual communities in the U.S. Europe, and India and over 150 meditation group worldwide. The Yoga community has undergone dramatic changes in the last thirty years. Hatha Yoga has gone from an arcane curiosity to mainstream regime for wellness; It’s now practiced regularly by nearly twenty million Americans, and many other countries are seeing similar interest. Countless new styles have emerged. Yoga is gaining acceptance in the medical community as valid therapeutic self care practice Not only the yoga postures, but meditation as well. Most thrilling to me, however is a relatively recent development: the mushrooming interest in the higher, spiritual dimensions of yoga. Enjoyable and beneficial though Hatha Yoga certainly is, more and more people are eager to experience what lies beyond the physical aspects of yoga. For these people, the Yoga Sutras (aphorisms) of Patanjali has be come a popular place to begin-and appropriately so, for its one of the main scriptures of yoga, it’s concise, and it’s though-provoking, even inspiring. Unfortunately, however, Patanjali is so concise that many of his aphorisms are wide open to an entire spectrum of interboldly through that opening, thereby creating a good deal misinterpretation, unclarity, and confusion. For example, some authors claim that Patanjali’s brief mention of asana (posture) mean that head vacated the practice of yoga postures. There is no evidence of that: he was simply advocating a suitable sitting position for meditation, which has always been the central practice of yoga. Other example arise time and again the myriad confusing translation of certain key aphorisms, “Yoga is the suppression of the transformations of the thinking principle.”What can anyone do with that? All this caused me much frustration in my own quest to fathom the yoga sutras. The commentaries that I found ere either abstruse or vague, and almost always disjointed. I wanted a straight-to-the point explanation of what Patanjali was really saying and how to apply it in my own spiritual quest. And since Yoga is widely known to mean “Union [of the soul with sprit],’ I wanted to know what Patanjali said about Spirit; alas commentators too often go to great length to avoid even Mentioning god. In this book, Swami Kriyananda has shown us that there is indeed more-much more. His training with his guru, Paramhansa Yogananda, gave him the deep understanding and penetrating, intuitive insight necessary to unlock the secrets of the Yoga Sutras. His extraordinary clarity of presentation gives us a fresh and accessible-yet uncompromisingly deep-perspective on this timeless scripture. Kriyananda reveals Patanjali’s clear vision of the single, eminently practical path that underline all spiritual traditions-that of moveing from ego-identification to Soul-identification-and how to walk that path using the nonsectarian tool of yoga. Here at last is the thread that ties together these 196 aphorisms. Kriyananda has written more than 140 books, and in this one, he shows once again that he is an unsurpassed exponent of the yoga science. Although Paramhansa Yogananda never wrote a commentary on the Yoga Sutras, I feel that he has now done so through his direct disciple, Swami Kriyananda. A veil has been lifted, and patanjali’s teaching is revealed as it truly is: a deep and inspiring scripture-yet also a practical scripture, accessible and applicable to any spiritual seeker. This book is a blessing. It shows the eternal way to lasting happiness and freedom. It’s not just another intellectual exploration: it’s a handbook for the true practice of yoga. Parmhansa Yogananda declared that the future of religion everywhere would be self-realization: actual experience of the universal self. Patanjali tells how to attain this state of divine oneness. In the Past, and to a large extent even today, religion has been equated with system of belief. Everywhere it has been assumed that God cannot be known and that we must accept some authority opinion about Him. People have been fought in defense of that opinion. Muslims, zealous to force conversion on other, have gone so far as to slaughter people by the masses-and in the belief that they were pleasing Allah! (Human folly can hardly rise higher than their promise of sensual delight in heaven to any thug who sacrifices his life to bring about such conversations). Religion everywhere offers us attainment of the highest that is in us, and then boxes us in with sectarianism, intolerance, and threats of divine punishment to anyone who fails to “toe the line”! 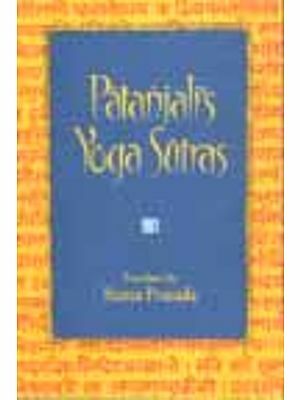 Patanjali offers attainment far higher than any sensual heaven. He also fills our mind with forgiveness, genuine, all- embracing love, and understanding. Patanjali bring to mankind more than a fresh breath of truth: He brings the wind of a new reality, redolent with fresh drafts of hope-hope not only for a better, but for a perfect future! I approach this work after struggling hopelessly through many appallingly bad translation and commentaries on Patanjali. I do not know Sanskrit as such, though I know many Sanskrit words and expressions. It is easy for me, however, to see when people’s rendition to it into English is bad. 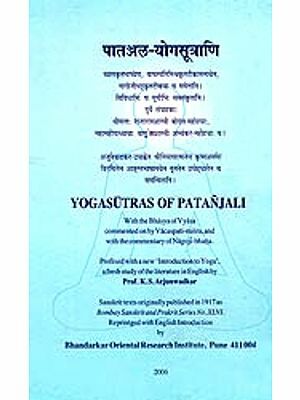 Of all the translations of Patanjali to which I’ve been exposed, not one has been worth the trouble of an in-depth, serious study. My guru Paramhansa Yogananda, personally shared with me some of his most important insight into these sutras. During the three and half years I lived with him before he left his body, he also went with me a great length into the basic teaching of yoga. I do not have the enormous advantage I had when I wrote, from memory, my Guru’s commentary on the Bhagavad Gita, for I had worked with him personally on editing that book. I have worked on this book, however, from a deep knowledge of his teaching, and from personal reflection of time when we were alone together at his desert retreat and he spoke to me of Patanjali subtle meaning. I therefore know the yoga teaching of Patanjali as I received them at first hand from my Guru. I have steeped myself in those teaching for the past sixty-four years. All the books of commentaries on Patanjali which I have read, or tried to read, I have found hopelessly pedantic. What am I to make, for example, of such phrase as “mental modifications”? Many or most of the sutras are too muddled in translation even to make sense. I Like clarity, and I feel compelled to work as well as possible to achieve it. I was able, moreover, to ask my guru personally about many of the subject covered by Patanjali. His explanation has lingered with me and has been a priceless help in the present labor. I have worked with five different well-known translations, several of which Were based on other well-known commentaries. I decided to do this work because I See a great need in the world today fort is book. I have already written and published 142 other books based on the teachings of Paramhansa Yogananda. I cannot promise the reader hat what follows will be fully accurate ,but at least I can promise him that it will be clear. I hope that what I have written here will help to offset the many the many books of which the of which the most outstanding feature has been their utter absence of clarity. Munishiram Manoharlal Publishers Pvt. Ltd.